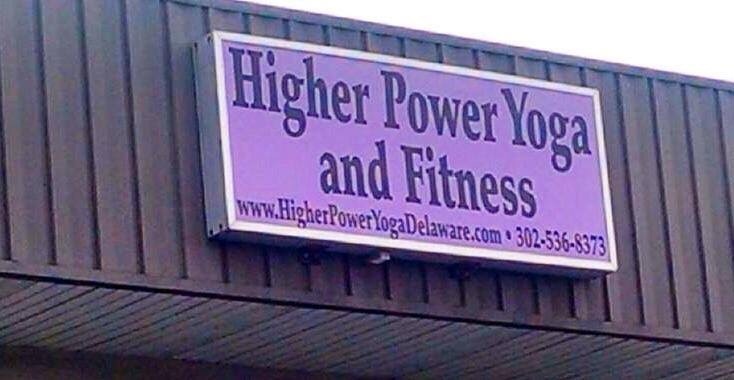 Our next Hot Mom is the proud owner of High Power Yoga and Fitness in Dover, Delaware. Starting a business from the ground up is pretty daunting, but Jessica was up for the challenge. Her studio has grown from only one room to now two and it offers between 20 and 25 classes a week. There is something for every yogi out there: Guided Meditation Yoga, non-heated yoga, kids yoga, Hot Yoga (my favorite! 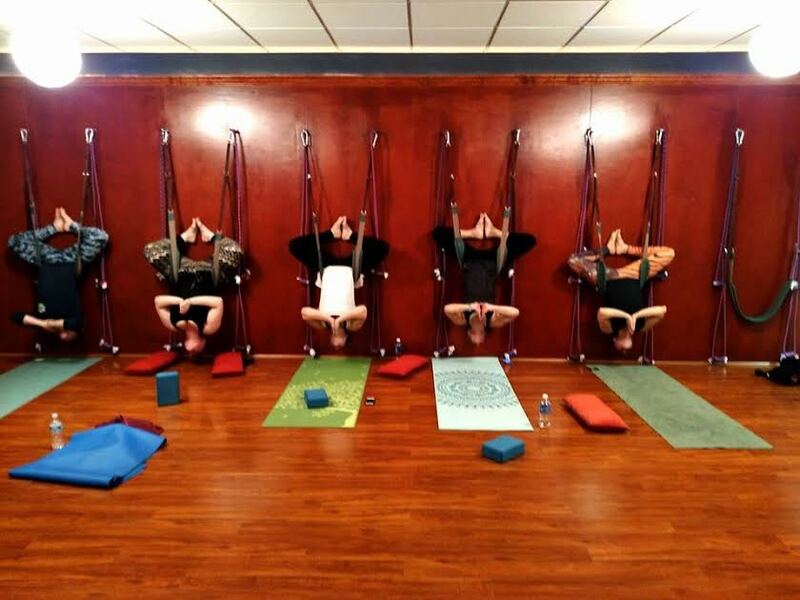 ), and a new Rope Wall yoga class! Staring with a little intro, please tell us a little about your family, your job, and any other community organizations you are involved with. I had a debilitating bout of postpartum depression and OCD which landed me in a hospital. So now I am part of a group called D.A.M.E.S. (Delaware Association of Maternal Emotional Support) We are a group of healthcare professionals and concerned moms trying to raise awareness in Delaware about postpartum mood disorders. We are also trying to kick-start a postpartum support group here at the studio. In my free time I love taking naps! LOL! I also love horses. I have been riding horses since I was six years old. My house is a menagerie! We have two dogs, two cats, a leopard gecko, a hermit crab that has been alive for years, and at a nearby farm our family has four horses. I’m very active with the TOYS FOR TOTS organization. It’s a wonderful organization run by some amazing people! I have been a vegetarian since I was 12 years old, I love the beach and I love anything that has to do with the ocean! In fact I used to have a huge coral reef saltwater fish tank at my house. It just became too much work so I had to sadly get rid of it. But I really miss it and would love to do another one. So if there’s anybody out there reading this who wants to set up a saltwater fish tank at my house call me! LOL! 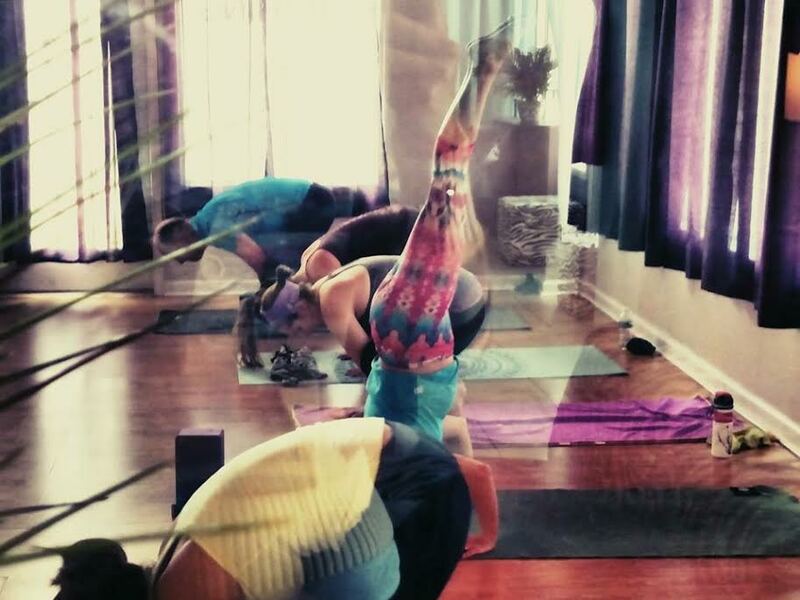 It’s amazing that you run your own yoga studio! 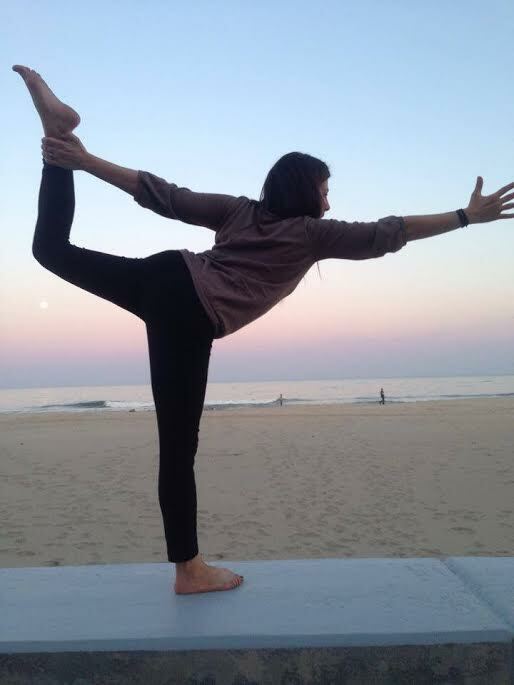 When and how did you first get started with yoga? Thank you! I still can’t believe I have my own business! I have been into physical fitness for a really long time. Whether it’s Yoga, running, weightlifting, or hiking – I just love to be active! 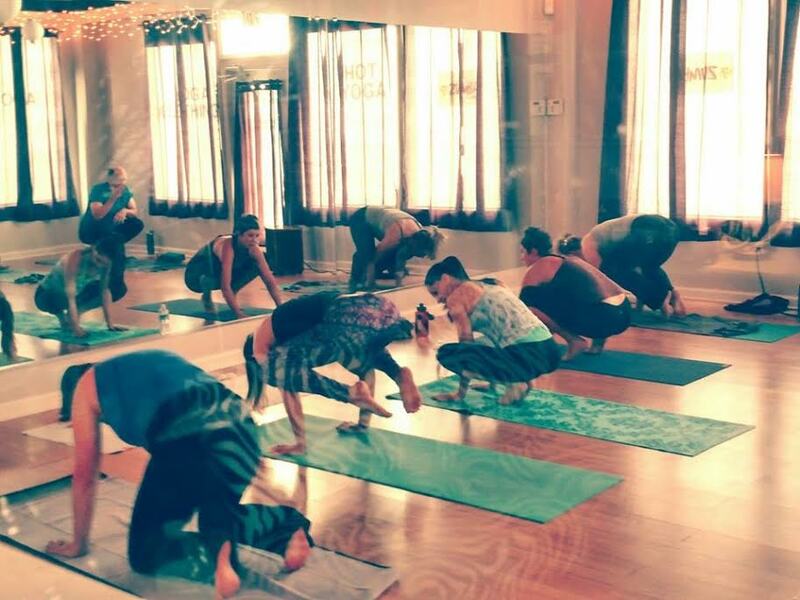 So when I moved to Smyrna I found that there were no yoga studios around, and that was a little frustrating! 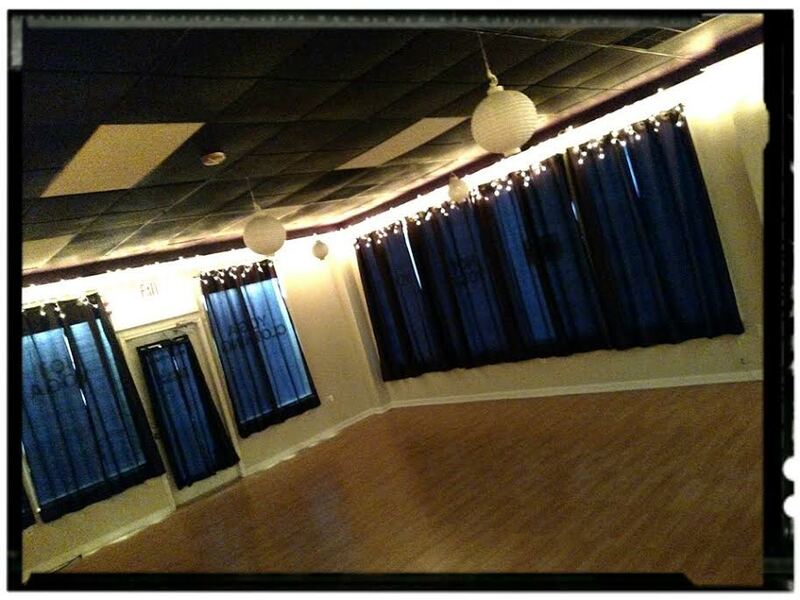 So I decided to get my yoga teacher training and open up a studio. It’s been difficult. There are some nights when I’m so overwhelmed that I go home in tears, but then whenever I open the doors and come in here in the morning and I see all of the people who enjoy coming here and I know that I provide a space where they can get just a little while of peace and quiet in a loving, comfortable, warm environment it puts a smile on my face. And that’s why I love it. How do you manage to fit in your workouts while running your own business and taking care of your family? It is challenging to continue my own workouts but I enjoy taking classes from the teachers here at the studio. So when I have an hour in between running the business and running my daughter back-and-forth to her karate lessons (shout out to Delaware Combat Sports 🙂 or her activities after school, I make sure I get my yoga on! I also run when I have a few minutes here and there, and I also make sure that I practice at home every day for at least a half hour. 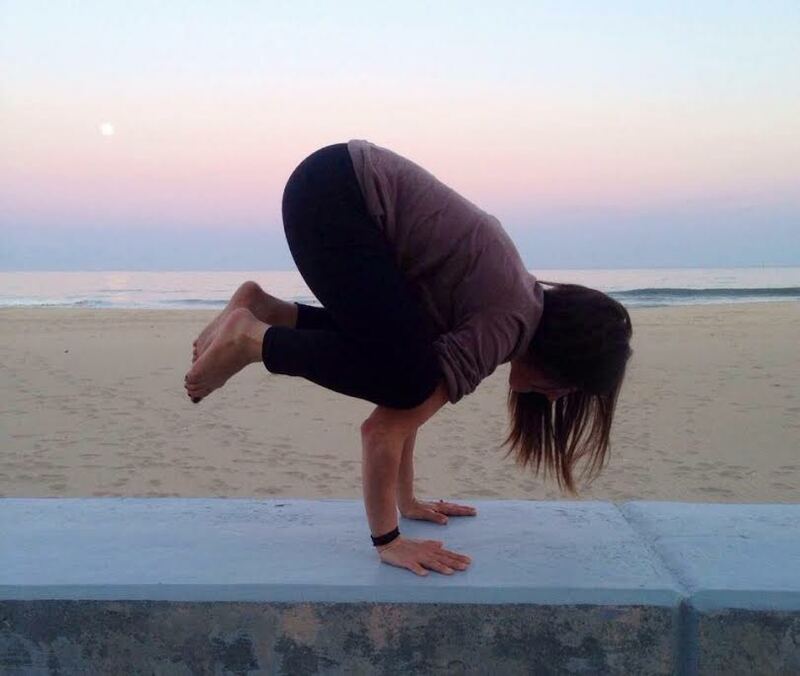 Whether it’s just meditating or a vigorous practice – I always make sure I get that in! How do you manage to stay so hot? That is, are there any tools, such as fitness apps, equipment, ect., that you absolutely cannot live without? Thank you! My yoga, that’s what I can’t live without. I also eat an incredibly large amount of food. The fact that I am not the size of a hippo I attribute to my vegetarian diet, because there just aren’t a lot of sources of fats there. I will eat eggs if they are from a certified humane source (like my mom and dad’s farm) and I try to only eat organic dairy products. Obviously when I go out I can’t always, but I try. But I have not eaten any animal products besides those two things since I was about 12. I just believe in being kind to all beings. I don’t wear for or buy products that are tested on animals and I try to stay away from leather. I wouldn’t say that I have 1 proudest fitness moment. But I do love all the things that yoga has taught me. 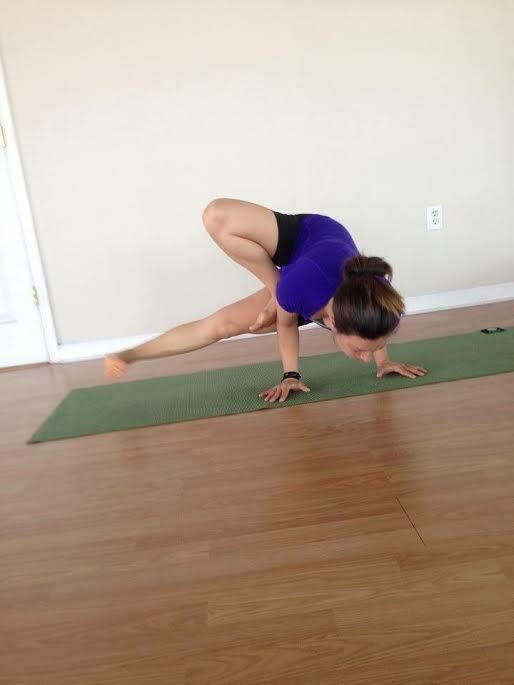 It’s very freeing to be able to do some of the awesome arm balances and amazing poses that I can now do. But I want to take that to the next level too. I would love to get into contortion and find somewhere to do contortionist training. Yoga has given me the tools to surrender and find it in me to do amazing things with my body and now I think it’s just such a beautiful thing that I want to go further with it! What’s next on your goal list for 2015? 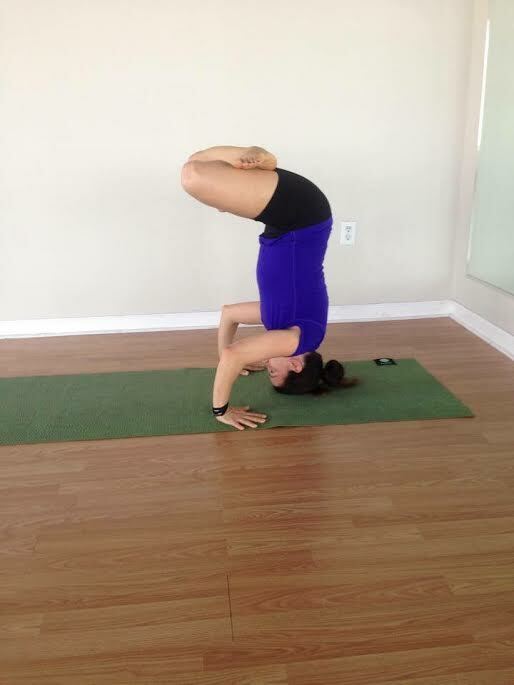 Anything exciting coming up at Higher Power Yoga? For someone who has never taken a yoga class, what would you want to tell them? Don’t be afraid of yoga! It is wonderful for any fitness level! You don’t have to be a contortionist, or a hippie, or young, or skinny or anything. Just give it a try I guarantee you will be hooked. When you come to yoga, you are here to be a beginner. You are here to learn. Don’t be concerned with those around you and what they are doing. Do what feels right to you, to your body, and to your heart. Once you can find it in yourself to be truthful and loving and content with yourself that is when you will find the true meaning of yoga. Do you have some yoga questions for Jessica? Let us know! We are planning a few posts on what is quickly becoming one of our favorite past times….after running of course!